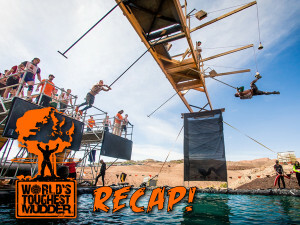 The 2015 World’s Toughest Mudder set the bar high for team participation. With a $100,000 carrot held out for the team that could cover 100 miles in the allotted 24 hour deadline. It was an interesting race and with the best attempts from the top teams, the money remains uncollected. There was a new course champion crowned and some interesting developments unfolded as the teams broke apart, some retired opting to stay with the team, others pushed on in hopes of personal glory. Our featured guests, Miguel Medina and Nickademus Hollon, were in the thick of competition and share their inside views of the race as it unfolded for them. They also offer some professional insights as to how one should approach this event, it’s a great interview with two great OCR athletes.